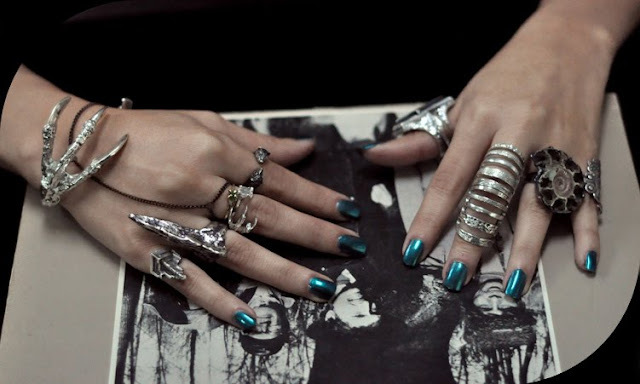 Goth glam with a storyline, Pamela Love soothes the sordid palate. Although there's no need for introductions. Love's original work has gotten her a CFDA nomination and endless press-love in recent months. She's propelled an alt-chic aesthetic into the mainstream, by methods of bohemian sensibility. As a New Yorker, artist and musician, Pamela is a woman of her own beat (quite literally-- she is the drummer of girl group Scorpio Rising), and her vibe restores the artisan approach to a bloated market. A darker eccentricity, the character and charm are fluid.